Automating the care and maintenance of your swimming pool can save you time and money. Owning a swimming pool does not have to be such a huge and timely chore if you implement some of the most recent automations that are available. Let's a closer look at some of the things you can automate, so you can spend more time in the water and less time fussing over the care of your pool. There are dozens of apps available that allow you to automate, control and monitor different aspects of your swimming pool. Here are just a few to give you an idea of what's available. Pool Heater: Control the temperature of your pool using your WiFi signal and schedule times of the day or week for the heater to kick on. Insta-Link: Use a colored test strip to check your water. Then scan the test strip with the Insta-Link app and it will tell you what chemicals, if any, need to be added. Pool Pro Home: Monitor and track your water quality over time. iAquaLink: A fully automated AquaLink system allows you to control the lights, heat, pumps and filtration system from your smart phone. 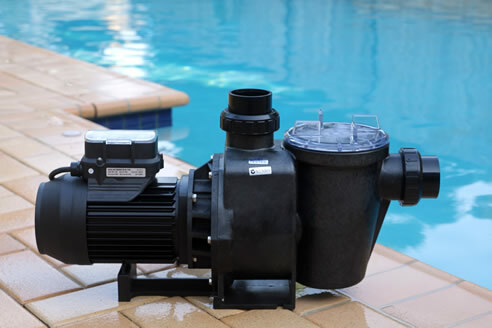 Automating your swimming pool pump can be a big money and energy saver. Many of the newer pumps are now available with corresponding smart phone controls. One example is the iQPump from Jandy. Automation allows you to control when the pump runs and how long it runs on a schedule. It may not technically be an "automation," but a robotic pool cleaner is a major time saver. Most of the high-end robots can scrub, vacuum and filter the surfaces of an average-sized pool in just two hours. (Plus, app controls to automate robotic pool cleaners cannot be too far away at this point, right?) A robotic pool cleaner can range from $250 up to about $1,100, but in the long run it will save you many hours of time and labor in pool maintenance.